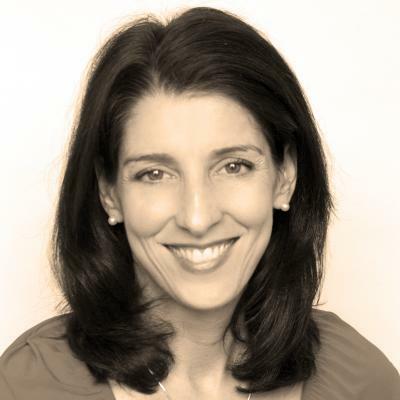 EXECUTIVE COACH/TALENT MANAGEMENT CONSULTANT -- Julie Klingel is a leadership consultant and executive coach. For the past 12 years, she has been a Faculty member at the University of Santa Monica and also served as the Soul-Centered Professional Coaching Director. She combines genuine compassion and caring with her extensive education and practical experience to assist others in building self-awareness, developing leadership capabilities, and creating new possibilities in their work and personal lives. Her 15 years of experience as a therapist prepared her considerably for an additional focus in the coaching model. Her extensive experience in team facilitation, group dynamics, building high performance teams, communication, learning, and culture change has been shared with non-profit and for-profit corporations, in the fields of entertainment, higher education, and health care. In addition to her USM education, Julie has completed the Newfield Network Certified Coach Training Program. Being certified in The Leadership Circle 360 Assessment for leaders and managers and The Leadership Culture Survey and Follow-Thru Tool gives Julie the skills to accelerate leadership effectiveness beyond traditional competency-based approaches. Julie has completed courses in executive time management with David Allen and has extensive experience with behavioral and transpersonal approaches in the field of psychology. She is certified in the MBTI and Birkman Asessments and is licensed as a Marriage Family Therapist in the States of California and Colorado. Julie received her B.A. degree in Psychology from the State University of New York, New Paltz, New York, and her M.A. degree in Counseling Psychology from the University of Santa Monica where she was honored as the Counseling Psychology Student of the Year. She has a wide range of work experience including serving as the Manager of Business and Legal Affairs at E! Entertainment Television to serving as the Mental Health Services Director at St. Anne’s, a large social services organization in Los Angeles. Facilitated, coached and inspired attendees of hundreds of psycho-educational groups, successfully serving professionals in varying industries. Rode her bicycle across the country raising money and awareness for the Children’s Wish Foundation. Managed and recruited groups of over 40 Volunteers committed to a 9 month program, keeping over a 90% retention rate through training, high engagement, and a focus on servant leadership. Implemented a $1M Department of Mental Health contract with a social service agency organization, setting up systems, treatment services, directing compliance and budgeting, hiring, training and supervising over 15 staff members while supporting staff through an organizational culture change. Increased funding to the program by over 30% in one year, assisting in expansion of programs into the community through leadership and development of the team.